Here is the details about the C1 LCD compatible with other Nokia Phones, which will help you to use this LCD in any other Nokia phone which has the same LCD version. 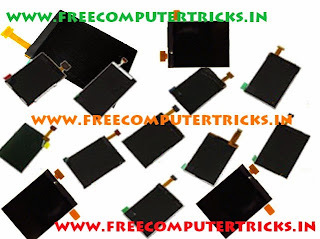 The below is the compatibility list of Nokia C1 LCD, which is really very useful to the Mobile technicians. So we got that Nokia C1-00, C1-01, C1-02, C1-03, C2-00, X1-01, 100, 101, 102, 106, 108, 109, 110, 111, 112, 113, 114 and 130 has the same LCD, if you have any one of these LCD then you can use any one of these Mobile phone.